I’ve been off the radar for several days, taking some time to recuperate and unwind. My husband and I decided to celebrate his birthday by taking an extended weekend trip to the beach. The weather in March along the eastern shore is hit or miss. We’ve been visiting this particular beach since we were teenagers in high school. When we were in our twenties, his family owned a modular home there, and we became part owners in a pontoon boat. During the summer, we spent most every weekend at the beach for approximately fifteen years. It’s a four hour drive from Central PA, but for fresh seafood, crabbing, flounder fishing, and sunning on the shore, those trips were worth it. These days, we normally head to the beach once or twice a year, shelling out for a hotel. I’ve been at the shore when it’s been 80 degrees in December, and when it was freezing cold in June. This trip, the weather was perfect—full sun and only a light breeze. We were able to be outside in sweatshirts. As we’re much older now, we did a lot of reminiscing of those early trips when we were just kids, and how much the area has changed. We’re no longer “June bugs” but prefer the less crowded months of March, September (still hot enough to use the beach) and December for our trips. This is the entrance, with registration and the main lobby up on the second level. If you walk back through the hall there are elevators to the upper floors, or you can continue straight to the beach. This is the main lobby. There’s a jewelry shop off to the side where I’ve purchased multiple pendants through the years. There’s also a huge covered porch that faces the beach and extends the entire length of the hotel. It’s lined with high-backed rocking chairs, perfect for enjoying the view with a drink or reading. The view from our hotel balcony. My husband took shoots of the sun rising each morning but I was slept through it. Something about the coastal air always makes me sleep extra soundly. We spent an afternoon on the boardwalk. See the huge JEWELRY sign in the background? I picked up a sun pendant there, while hubs checked out M.R. Ducks, next door. For all of you trying to pummel your WIPS into submission, I wish you happy writing—and a break to rejuvenate, even if it doesn’t involve a beach town! A recent family excursion dovetailed nicely with my latest WIP. The Blue Lady of Hode’s Hill is set in an urban river town, much like the area in which I grew up. A few weeks ago, my nephew turned 40 and his husband booked a riverboat for a private party. Everyone had a blast. Here’s a group of us, all family. I’m second from the right, hubby is second from the left (my nephew is not in this photo). In addition to enjoying a 2-hour riverboat cruise, complete with yummy hors d’oeuvres and fireworks (there was an event at one of the islands that coincided with the party), I had the opportunity to snap a number of photos. I’m saving these for inspiration to use in my fictional town of Hode’s Hill, which has a walking bridge much like this one. I was also able to capture a few shots of the skyline. Even though I’m a country girl at heart, there’s something mesmerizing about city lights at night. Into this setting, I’ve set the urban legend of The Fiend—a creature with a devil-like face and cat-like agility responsible for several murders at the turn of the twentieth century. The book is set in present day, but each chapter begins with a scene from the past. The reader follows two mysteries—one involving Maya Sinclair in the present and another focused on a spiritualist, Lucinda Glass, in the past. Eventually, the two plotlines intersect for the novel’s conclusion. It’s been fun—and challenging—weaving dual storylines. Even better, the story has been a virtual playground of oddities including ghosts, spiritualism, creatures, and a town caught up in fear. Plenty of my scenes have been set along the banks of my fictitious river, the Chinkwe, which is why I enjoyed my recent cruise. Did I mention the boat was an old-fashioned two-story paddle boat? In closing, I thought I’d share my latest look (yes, I need to update my author photo). New glasses and I had three inches cut off my hair. Is this a sign I’m getting old (those darn glasses are bifocals). Do you find inspiration in every day events? 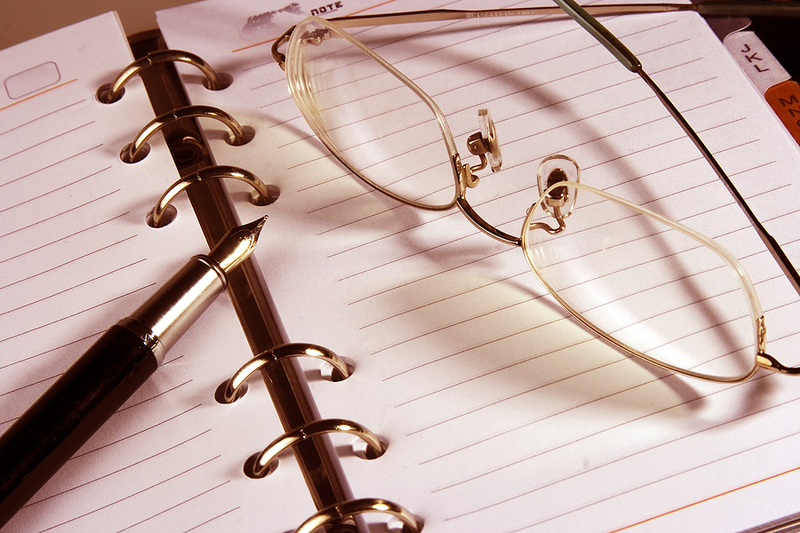 Are you as reliant on glasses as I am? Have you ever read a book with dual timelines and do you enjoy them? For the gals out there, do you freak when you change your hairstyle (guys, you can weigh in too 🙂 ) Chat away in the comments below! Naming characters is a topic that gets a lot of attention. It’s been blogged about many times. I’m sure I’ve written posts in the past, too. Okay, I know I’ve written posts, but let’s face it—we love our characters and we love talking about them. Last week, I started a new short story for a future writing project. As usual, when I begin something new, I start by creating characters and deciding on names. Plot comes later. In this case, the two leads are brothers Conner and Dorian Ash. Yeah, I know…there I go with that family thing again, but I can’t help myself. I like the dynamics of family relationships. Seriously. What’s up with me and the “c” sound? 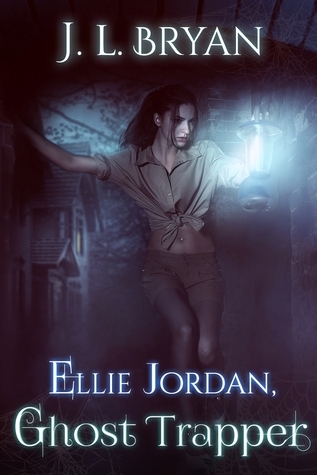 Looking back on it, Food for Poe is the only story I’ve written in which the main characters escaped my obsession. I don’t think I intentionally zero in on the letter C. I collect names (male, female and last) and keep them in an app on my iPhone. Whenever I need one, I hop over to see what I’ve got saved. I also use online baby naming sites, which I think is pretty common for most authors. In the old days, I used to flop open a phone book, but they’ve become dinosaurs. How do you choose names, and do you have any ongoing preferences? Is there a particular letter that continually crops up among your character names, or am I the only one who unconsciously gravitates to a certain sound and/or letter? As I post this, I’m knee deep in writing the second book of my Point Pleasant series. That means it’s time to start thinking about the third novel. I’ve got a general idea what that book is about—the legendary curse of Chief Cornstalk on the town of Point Pleasant. I even have my character backgrounds and a (highly) sketchy outline. What I don’t have is a title. I’ve always had a love/hate relationship with titles. On rare occasions, I have one before I start writing. That was the case for WEATHERING ROCK, TWELFTH SUN, and A THOUSAND YESTERYEARS. Other times, once I sit down and dwell on the key points of a story, a title magically appears. Ta-da! That’s what happened with my current WIP, A COLD TOMORROW. The title is a perfect fit. 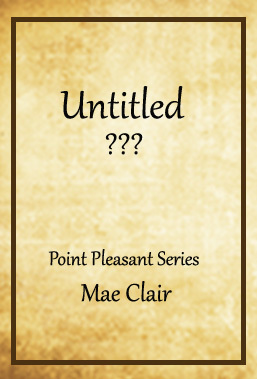 Yep, book three of the Point Pleasant series needs a title. It has to be three words, start with an “A” and relate to time I some manner. Since the title for book one references the past and book two the future, I initially wanted book three to have a title related to the present. But everything I tossed around (today, now, present) all seem clumsy in a title. Ugh! I’ve since moved past that concept, but if anyone has an idea, I’m open to suggestions. What am I missing? Are there other elements of time I could be using? Do any of these resonate with you as a title? For the record, I think A BROKEN HOUR is kind of clumsy when it rolls off the tongue. Right now I’m leaning toward the last one…A SHATTERED MOMENT or A SHATTERED HOUR. There is, however, a novel already out there with the title A SHATTERED MOMENT, so that probably squashes the idea. I try not to duplicate titles so my books are easier to find. I mean who the heck calls a book TWELFTH SUN? What do you think? Do you like any of the above? Do have any other ideas? Should I draw the winner out of a hat, consult a Magic 8-Ball, or flip a coin?